What is the Center for Policy and Law? IRmep research has revealed important laws are routinely broken by Israeli and Israel-linked U.S. organizations. IRmep’s Center for Policy and Law works to reveal, document, formulate pro-forma evidence and file lawsuits to expose, challenge and obtain damages for harmful and illegal policies. What does Middle East policy have to do with law enforcement? In the 1940s, the Jewish Agency set up a massive arms smuggling network in the United States. Although hundreds of members were identified stealing and smuggling arms in violation the Neutrality and Arms Export Control Act, only a few lower level operatives were ever prosecuted. By the 1960s, Israel-linked groups were stealing nuclear material and technology. In the 1980s Israel’s LAKAM technology and military secrets network was preying on U.S. businesses and national defense infrastructure. 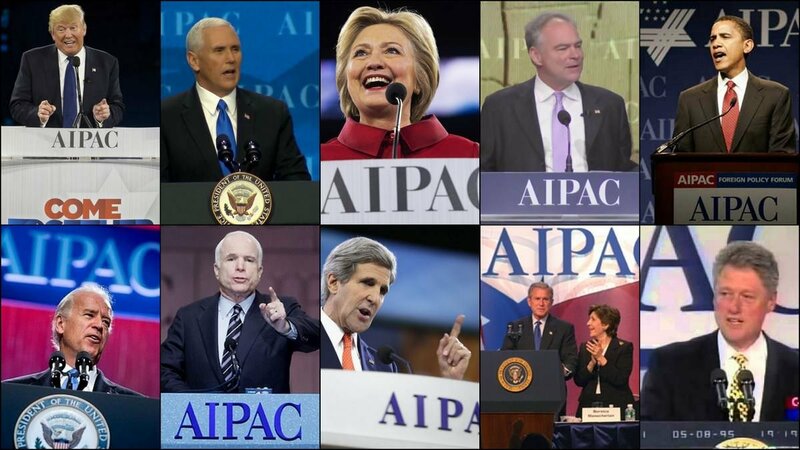 In 2005 Israel’s American lobby AIPAC was caught trying to use stolen classified information to touch off military conflict with Iran. Today, operatives conduct interventions into US media and politics, but remain outside registration under the the Foreign Agents Registration Act. Important US statutes, rarely enforced, could contribute much more to Middle East peace—but only if Americans understand how law is related to policy, and lawsuits are filed to call attention to and challenge wrongdoing. 9/02/2015 (PDF) Lawsuit seeking 10 years data on CIA intelligence support to Israel. 03/04/2016 (PDF) IRmep opposition to motion for summary judgment. 04/29/2015 (PDF) Benjamin Mizer, Vincent Cohen, and Elizabeth Shapiro assign Zachary Corey to defend the CIA. 04/30/2015 (PDF) Counsel for the CIA denies legal right of plaintiff, through FOIA, to obtain NUMEC files. 05/18/2015 (PDF) Joint status report. CIA 90 days for litigation review. 08/20/2015 (PDF) Second joint status report, major disagreement on proceeding. 09/02/2015 (PDF) Transcript, oral presentations before the judge. 10/29/2015 (PDF) Transcript, oral presentations before the judge. 11/04/2015 (PDFs) Supplemental authority and exhibits filing before summary judgment. 10/28/2014 (PDF) Lawsuit seeking DoD report on American affiliates of Israeli entities engaged in clandestine nuclear weapons research and development. 11/19/2014 Department of Defense presents “NDA” tactic, requests more time. 11/20/2014 IRmep cites DoD violations, refutes NDA tactic, seeks in camera review. 11/21/2014 Court gives DoD until 11/26 to respond (transcript). 12/19/2014 DoD drops NDA defense, seeks 3rd time extension to consult with Israel. 12/26/2014 IRmep asks court to deny extension and conduct in camera review and release. 01/05/2014 DoD responds that it does not oppose in camera review, Israel must review report. 01/07/2014 IRmep reponds DoD is acting in bad faith, that Israel not appropriate review party. 01/08/2014 Judge orders defendant to respond by February 12, if not will do in camera review. 02/10/2015 DoD releases unredacted section on Israel from report. 11/19/2014 According to court filings, Technion’s Dr. Amir Gat allegedly “stored project-related files and technical information on his personal laptop, rather than on his safeguarded office computer, in violation of the TCP and ITAR.” On May 25, 2010, a virus attacked project leader Dr. Sandra Troian’s computer network working on the JPL “Electrospray” project at Caltech, causing hundreds of project files to be uploaded in rapid succession to an unknown IP address outside of Caltech. Dr. Troian traced the virus that caused the network problems to Dr. Gat’s computer, and notified Caltech officials of this fact. On May 28, 2010, Dr. Gat admitted to Dr. Troian that he had been sharing details of the Electrospray Project with Dr. Daniel Weihs, his Ph.D. advisor at Technion without proper US government approval. On June 3, 2010, Dr. Troian found Dr. Gat wandering alone, unauthorized, in one of her access-restricted experimental laboratories. Dr. Gat explained that Dr. Weihs had recommended from Technion that he “look around” to see what other aerospace projects were ongoing at Caltech in collaboration with JPL. Request that Gat be extradited and prosecuted for espionage. 08/21/2013 (PDF) Israel’s Jewish Agency announces a $300 million propaganda campaign in the United States. Justice Department asked how it will monitor and ensure FARA compliance of an organization with a long history illegally smuggling weapons, filing false FARA reports, and laundering funds through American front organizations. 06/26/2015 (PDF) Israel’s Jewish Agency announces a new “emissary” program to place Israeli operatives on North American campuses and summer camps. Given organization’s history of money laundering, un-reported propaganda and lobbying, the DOJ FARA unit asked to monitor the program and provide reports as required under the 1938 Foreign Agents Registration Act. 08/05/2013 (PDF) Request to Special Agent in Command (SAC) of all FBI field divisions to maintain a “professional distance” from the ADL given its long record using illicit tactics to subvert legitimate Arab diplomatic, pro-Palestinian, anti-Apartheid and other groups. 01/07/2013 (PDF) Filing about why the IRS should not reinstate the Zionist Organization of America’s revoked tax-exempt status.